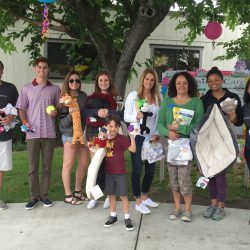 Southern California – it’s where we live, where we build, and where we give back to our community. 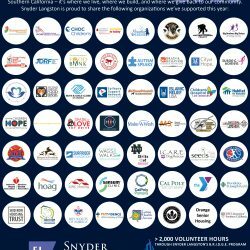 Snyder Langston is proud to share the following organizations we’ve supported this year. Snyder Langston is helping keep our beaches clean! 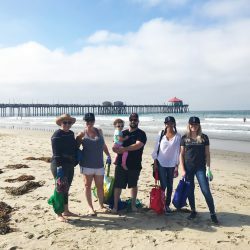 We participated in a Huntington Beach clean up and collected over 25 pounds of trash. 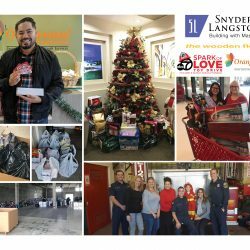 Donations were also made to the Surfrider Foundation, which is an non-profit organization that works to protect and preserve the world’s oceans and beaches. Thank you to everyone who donated and participated! What a great turnout last night! 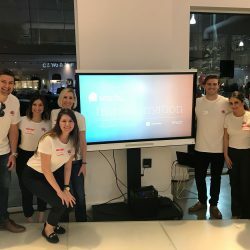 Snyder Langston partnered up with H Hendy to present their vision at Herman Miller’s Transformation design contest to revitalize a community room for the Wise Place. 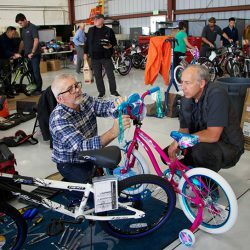 Our 19th annual Build-A-Bike was a success! 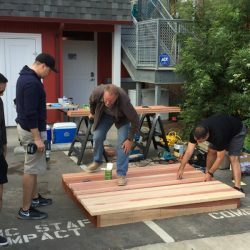 Laguna Beach Pacific Marine Mammal Center Deck Building Event. Our team had a great time at the Laguna Beach Pacific Marine Mammal Center deck building event. 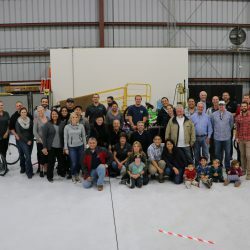 Thank you to all those who spent their Saturday helping make this project a success. Our first annual Witten Invitational was a huge success. 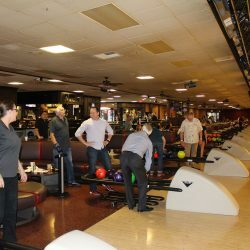 Inspired by our Senior Estimator and bowling enthusiast, Larry Witten, we got together for a little friendly competition and to support a great cause. This event raised over $600 for Big Brothers Big Sisters of America. Thank you to everyone who came out for this! 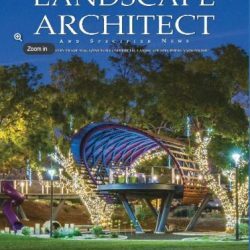 Check out the latest issue of Landscape Architect – the cover and page 84 have beautiful images of our Beacon Park project with FivePoint Communities and ValleyCrest. We take great pride in helping to build Southern California communities.